LEADING UK wargaming exponents Quirk Solutions are proud to announce the expansion of their service offering to include wargames specific to GDPR. Building on the success of our wargame offering, we at Quirk Solutions have developed GDPR specific wargames which offer organisations who gather and hold personal data an opportunity to identify potential risks and loopholes. “The GDPR legislation is complex and confusing. The consequences for businesses and organisations are significant and, considering the multiple departments it will impact, it can seem like a monumental task,” according to Chris Paton, Quirk Solutions Managing Director. “We are working with legal experts, cyber specialists and data protection professionals who excel in their field. They understand the legislation expertly and are aware of the potential risks facing UK businesses once this legislation comes into place. 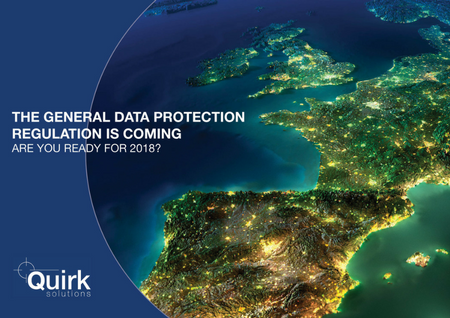 The GDPR legislation comes into effect on May 25th, 2018. It will be regulated by the Information Commissioners Office and depending on the severity of the breach and the nature of the business, fines will range from €10 million (£7.9 million) or 2% of turnover (whichever is greater) to €20 million or 4% of turnover (whichever is greater) for data breaches.